The re-branded NBC Sports Network, along with its parent NBC, will broadcast several of this year’s Kentucky Derby prep races, all three legs of the Triple Crown, and selected telecasts from the prestigious Saratoga and Keeneland meets. 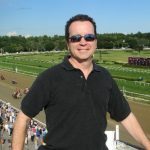 The 2012 Road to the Kentucky Derby series will be broadcast on NBC and Versus, the little known cable channel that is changing its name to NBC Sports Network. The series will include eight preps for the KY Derby and begin on March 24 with coverage from Turfway Park. It will conclude with the huge racing day of April 14 when the Toyota Blue Grass Stakes and Arkansas Derby are contested.